Beckertime is proud to offer this amazing Tudor timepiece. 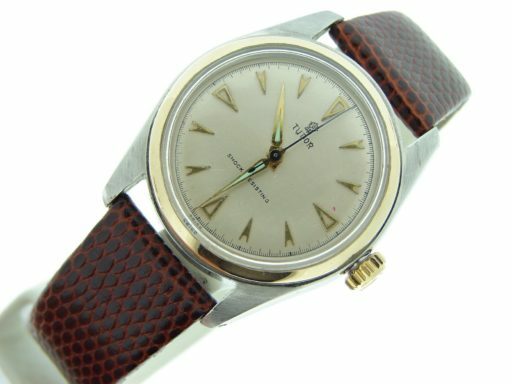 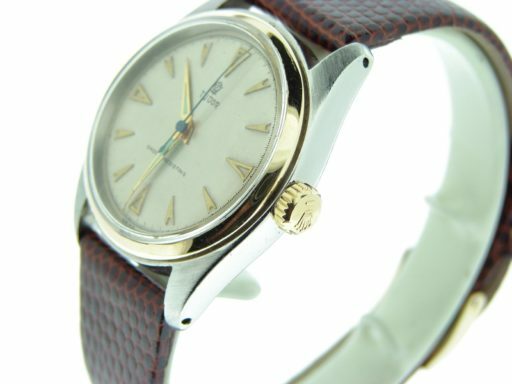 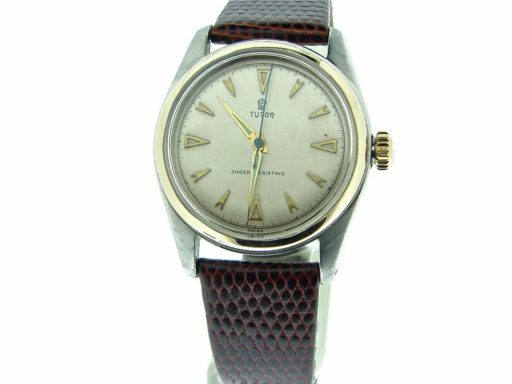 It is a Mens Rolex Tudor 2tone Stainless Steel & 18k Yellow Gold Watch from the 1950’s that is guaranteed to impress. 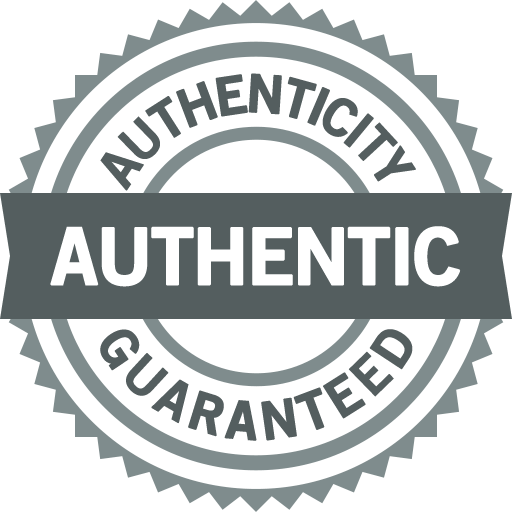 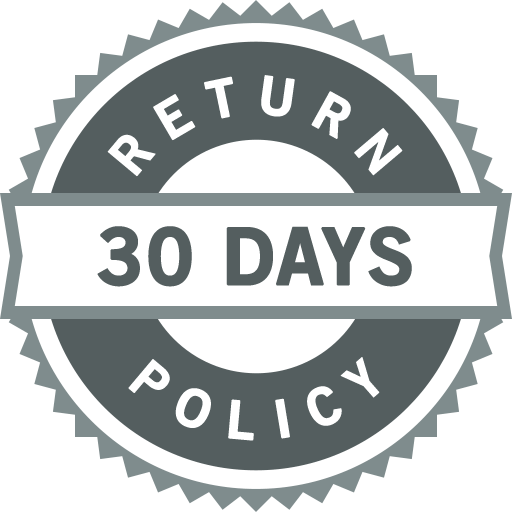 It is in Preowned – vintage condition and comes with the Beckertime lifetime trade-up guarantee. 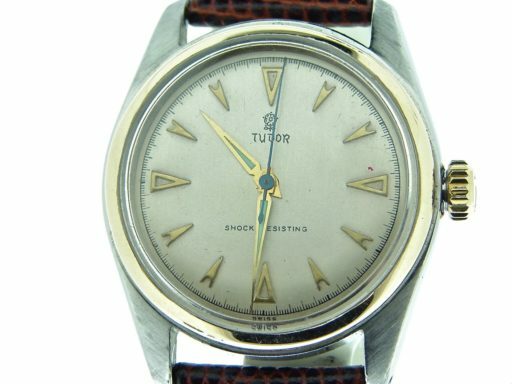 Don’t let this one get away…Buying a genuine Rolex Tudor at this price doesn’t happen often…Bottom line, it doesn’t get better than this. 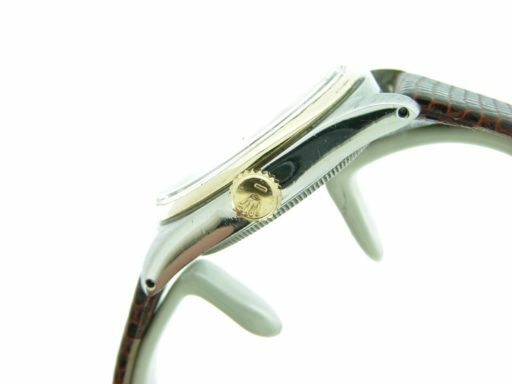 Bezel Rolex solid 18k yellow gold smooth finish bezel. This bezel was from a Rolex Oyster Perpetual 34mm model. 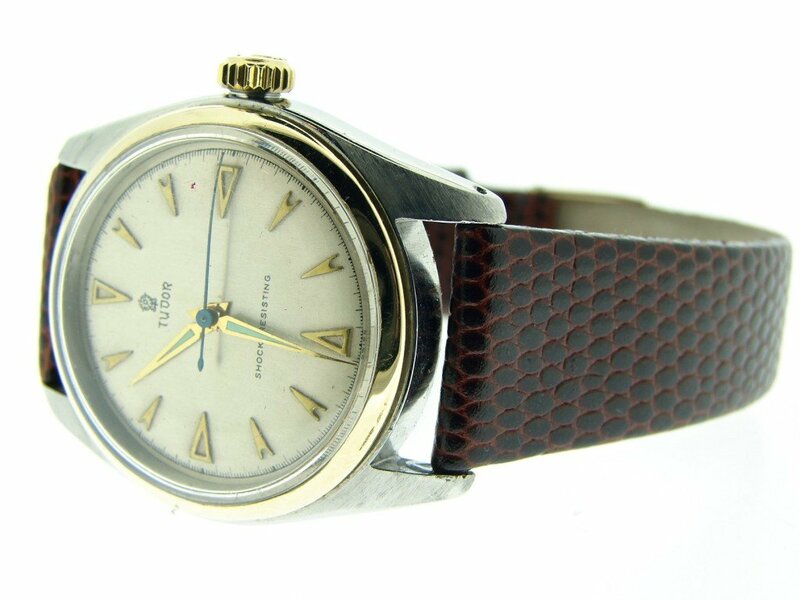 It is slightly smaller than the case.